The torch for the winter Olympics is now lit as some of the world's most talented athletes come together in Sochi, Russia to compete to win gold. Each competitor will strive to provide their best performance possible, and in Sochi, microseconds may mean the difference between medals and mediocrity. Like the machines in our datacenters, there are multiple factors that affect how the athlete may, or may not, perform. This is very similar to how businesses are being transformed today with all of the right pieces of technology. One of the biggest challenges facing enterprises today is data latency, which modern IT teams are constantly competing to provide a smoother user experience for banks, online retailers, telecommunications and service companies, and businesses of all kinds. On a human scale, we rarely realize how much microseconds count. The Olympics give us the opportunity to realize how vast a difference of microseconds can be, to help us understand how the slightest variation of time can make or break a gold medal datacenter. The importance of latency can often be overlooked when evaluating new solutions in the datacenter. However, latency is something vendors cannot afford to ignore as it's critical to evaluate how successful installing new architecture, such as hybrid or all flash arrays, will be and it determines how well a new installation will accelerate applications or databases in a real world environment. Every extra step needed to complete an application I/O request adds more latency and slows down systems, the equivalent of requiring Olympic athletes to run further each time they compete. With datacenters optimized to deliver consistent low latency, applications can complete reports or run analytics in minutes rather than hours, providing substantial business gains for enterprises armed with information to make better decisions. IT professionals know that disks can't meet today's demands for delivering data fast enough to keep servers working at their peak performance. While disks can be configured for performance, these techniques are expensive to operate and manage, inefficient, and they also add unnecessary latency to datacenters. Some vendors promise to speed up applications with flash SSDs. However, not all PCIe SSDs leverage flash as a memory. Instead, many add flash on top of legacy disk drive software protocols. This approach perpetuates latency in the datacenter. On the surface, the latency differences between milliseconds and microseconds may not seem that significant, but the difference in time is enormous to a server or shared storage. Compounded over a working day, all those lost microseconds add up to lost opportunity – just ask an Olympian competing against the best athletes in the world. SSDs are commonly evaluated by how many input/operations per second (IOPS) they can deliver. SSD datasheets may report notable peak IOPS numbers, but it's important to take note of periods when latency pushes SSDs to a complete stop. Inconsistent performance is another challenge that keeps SSDs off the podium for datacenter servers. Flash storage built as another tier of memory in the server reduces latency, helping server CPUs give the first place performance they were built for. As an added bonus, flash in servers can also reduce rack space and operating costs, while delivering a much-needed boost to system performance. Flash memory solves latency problems and boosts performance in ways that allow businesses to excel. Server flash is a simple, drop-in solution. It can be purchased pre-installed in servers from nearly any major server vendor, and can quickly and easily be added to existing servers. There are also hybrid options that allow companies new to flash to make their first installations with systems designed to automatically deliver Quality of Service levels defined for each application. Enterprises can future-proof their IT investments with flash, as it is a long-lasting solution with the flexibility to adapt to future business requirements. In addition, enterprise flash often delivers substantial operating cost savings. Flash memory has no moving parts, so it doesn't need to be cooled like disk, which means significant savings on cooling expenses. By optimizing infrastructure for efficiency, flash memory also provides room for business growth by helping enterprises do more with the equipment they already have. Flash memory helps IT teams deliver achievements that would be impossible in a system with SSD or disk storage, putting IT professionals on the podium with a solution that accelerates applications, improves user experience, boosts performance and manageability for IT managers. Flash also provides efficiency that enables enterprises to refocus attention on business goals. 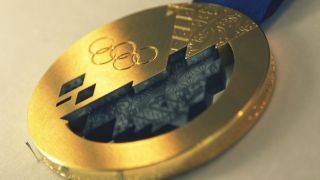 When looking for a gold medal solution, be sure to check the latency numbers to confirm how consistently your solution will perform when faced with real-world application workloads. Mat Young (@ispider) leads the Data Propulsion Lab team at Fusion-io where he helps customers architect solutions to reduce latency in the datacenter.